Milwaukee Shockwave 1/2 in. Deep Well Socket 1-1/16 in. Milwaukee Shockwave 1/2" Deep Well Socket 3/4"
Milwaukee Shockwave 3/8" Deep Well Socket 9/16"
Milwaukee Shockwave 1/2 in. Deep Well Socket 1-1/8 in. Milwaukee Shockwave 1/2in. Deep Well Socket 1 in. Milwaukee Shockwave 1/2" Deep Well Socket 7/8"
Ratchets & sockets are a staple of any tool collection. We source the best quality ratchets & sockets so you can get the job done efficiently and safely. GME Supply has a wide selection of ratchets & sockets that includes crescent tip sockets, wrenches, wrench & socket sets, and socket adapters. We also have a wide selection of deep well sockets for those hard to reach jobs. Don’t see the ratchet or socket you need? 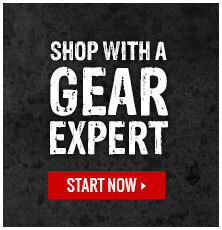 Click here [insert link here] to contact one of our Gear Experts® and we will help you find the tools you need to get the job done.